There are no Project items. Field information is available on the Parks section of the City's website but they can also download the free rainoutline.com iPhone or Android mobile app. You can also find field information by calling the Weather Rain-Out Line 615-264-5313. As a homeowner, may I apply for my own permits? Yes. 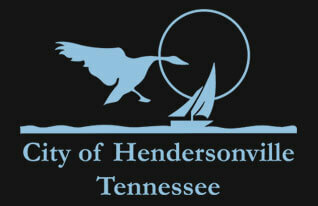 The State of Tennessee does authorize a homeowner to apply for permits for work that is to be done at their residence. An exception being Plumbing Permits, where you are required to perform the work yourself to be able to apply for a permit. It's also important to note that by becoming your own contractor, many protections that are normally available for consumers would no longer apply. Can I be notified of future employment opportunities? Yes, please call or email the Hendersonville Human Resources office if you would like to be notified of future job openings. We will need your name, email address and what position(s) you are interested in applying for (i.e. Police Officer, Firefighter, Clerical, etc.). We will add your information to our data base and you will be notified the next time a recruitment opens in your specified area of interest. You may apply at that time. Please keep us advised of any email address changes to ensure you will be able to receive timely correspondence from us. Dogs are permitted at all of our parks as long as they are leashed and the owner picks up after them. Can I submit a resume and/or cover letter? No, we do not accept random resumes and/or cover letters. Applications are accepted only during the time of an open recruitment. Each open recruitment will have specific documentation that is required. Your resume and/or cover letter may be submitted along with your application and other required documents.